China Foreign Teacher News, Updates, & Scam Alerts: CFTU Warns Of Fake Endorsements & Affiliations By China Job Agents, Recruiters, And Even Some Bold Schools. CFTU Warns Of Fake Endorsements & Affiliations By China Job Agents, Recruiters, And Even Some Bold Schools. 1) The Better Business Bureau is an U.S. based private organization that have no jurisdiction, interest, nor operations in China and they do not monitor nor investigate anything in China. Still, China job agencies have hijacked their famous logo and inserted it in their websites and even on their letterhead and biz cards. When we asked one recruiter by what authority could she use the BBB logo, she just smiled and ran to the rest room to avoid further questions. 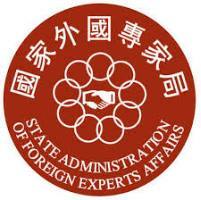 2) SAFEA, the Foreign Experts Bureau of China also does not "endorse" anyone or anything. Their official role is to register schools that are authorized to hire foreigners, and to ensure that foreigners wanting to work in China qualify to do so. Yet, many agents will pose next to SAFEA's Haidian HQ entrance sign and assert they are SAFEA endorsed, or "partners" with the government agency. Total BS! But this recruiter below admitted that most new ESL teachers abroad believed him! You will also see many recruiters and school hijack the SAFEA logo above and just attach it to brochures, business name cards, or even paint it on a wall to suggest they have some connection or approval with/from the government agency. You should challenge whoever does this deception and directly ask "Who is your contact at SAFEA?" and if they cannot give you a real name, ask them to explain the use of the government logo. 3) Likewise China's Ministry of Education does not "affiliate" with any recruiters or private entities. Their mission is to promote and evaluate the qualification of China's public teachers, professors and the curriculum they teach. It is actually a criminal offense in China to say you are "part of the MoE" or an MoE partner. Still hundreds of private English School do this every day of the week -illegally. 4) Then there are the truly brazen sleazeballs who will adorn their brochures and printed material with the logos of Oxford, Princeton, Harvard or other top 100 school and claim they are "partners" and "affiliates". This ruse works really well if they get lucky enough to bribe a former Dean or Professor from these schools whose photos can be seen online on the real university website. Don't fall for this scheme friends, and avoid people who try to fool you with these masquerades.